Similar to Joe Montana and Jerry Rice, the pairing of Antonio Brown and Madden NFL 19 is one for the ages. The star Pittsburgh Steelers wideout, whose pairing with Ben Roethlisberger could reach legendary heights, personifies every fiber of freshness while breathing new life into the best sports game series on the market. Brown's personality is everywhere in Madden NFL 19, from various selectable touchdown celebrations to personalities in Longshot: Homecoming and beyond. His game-altering skill set is reflected in the Madden-changing evolution of Real Player Motion, the latest complement to the new physics system that places more quick-twitch options in the hands of players than ever. Like Brown, Madden NFL 19 is the complete package fans have often sought but have rarely gotten, boasting improvements across the board and topped off with fan service via the honoring of requests for Ultimate Team and the modernization of positions and schemes to match the evolution of the real action on the field. The additions to Real Player Motion don't dramatically alter the Madden franchise, nor do they have a huge impact on the outcome of each game. But they sure are rewarding. Pulling the right trigger and flicking a stick to the left or right results in an ankle-breaking cut. Slamming the left stick makes a player slam the brakes, punishing overpursuers by sending them tumbling past the ball-carrier. Properly timed spins and stiff arms based on the positioning of defenders is similarly rewarding. On defense, the new Strafe Burst allows a user to line up a ball-carrier by holding the left trigger, then smashing the right trigger to go in for a hit. Once mastered, it's all intuitive and produces results. It also makes the gameplay more like the real thing. This is especially the case with other visible improvements to the physics system, ranging from better hit detection and collision results—especially when it comes to the hit stick. This is by far the smoothest Madden has ever felt and easily offers the most control to users. These upgrades work nicely alongside recent additions to play in the offensive trenches and the pinpoint passing, which feels even smoother while permitting modified throws to target the back shoulder or connect on lobs or low throws. As always, it isn't perfect. The classic blunder where an offensive lineman doesn't even pretend to put a hand up to block the guy in front of him is still there and blows up plays. Superdefenders still come out of seemingly nowhere at times to make a play on a ball that users thought was well out of range. But overall? The game is crisp and the culmination of EA Sports' smartly continuing to build upward on the foundation established early this console generation. The featured upgrades this year strike a balance between offense and defense, leaving incredible amounts of control in the hands of the user. This is the best Madden has looked while capturing the feel of a broadcast. While the back of the package isn't boasting major upgrades in this area, the work put into it is felt all the same—especially down on the field where the action plays out. When the cameras don't focus on the sidelines between quarters, it makes a point to gloss over the game's impressive true-to-life detail of the stadiums by featuring unique aspects of each locale, such as the torch in Los Angeles. In-game angles are superb as well, especially between plays, as it offers dynamic close-ups and innovative looks such as a head coach's reaction in the foreground while his guys huddle and walk to the line in the background. Those players and coaches are as true-to-life as it gets. Player faces aren't all perfect, but the proper proportions, attire and downright swagger of each player shines through. Seeing as Brown is on the cover and he's all personality, it's great fan service to see the team's lanky slot corner walk and behave a certain way compared to the more reserved attitude of a boundary defender. These play out in player intros, celebrations and postgame. Speaking of celebrations, it wouldn't feel like an NFL experience without them. Users can flick the right stick one way or another after a turnover, sack or touchdown to cue fun things such as dances or all-inclusive team celebrations. Commentary is once again superb, and the explanation of new rules is exceptional. Dynamic conversations reflecting the happenings during a franchise mode are still here, as is interrupting a conversation to commentate a big play before returning to the prior train of thought. This voiceover work once again carries well into the menus and tutorials, never feeling overbearing, while the snappy lines get the point across and help users. Call it the capper on a presentation package with little in the way of necessary fine-tuning. Longshot caught Madden fans by surprise last year. The promised cinematic story chronicling the journey of Devin Wade and Colt Cruise promised a motion-captured, never-before-seen foray into untested waters for EA Sports. Aimed at offering something along the lines of in-depth stories found in games such as the NBA 2K series, Longshot delivered in a big way, elbowing itself into a sports-game niche and standing somewhere near the top of the ladder. Like the journey of Wade and Cruise themselves, Longshot: Homecoming had to prove the events of the first story weren't flukes. Longshot: Homecoming tells an emotional tale as the lives of our heroes slingshot in different directions. Without diving into spoilers, we can say Wade fights for his NFL life while Cruise heads back home to deal with things there. This time out, there is a refreshing amount of gameplay sprinkled throughout the three- to four-hour story. A lack of control and getting to participate was a criticism of last year's debut, but it will be tough to have the same complaint this time. While it's mostly impossible to fail gameplay segments—instead being politely asked to try again—it's not an experience-ruining issue. As an aside, it's nice this game mode once again uses Wade's inexperience as a way to treat users to a bit of a Football 101 tutorial, explaining coverages and schemes while showing how to use some of the game's finer mechanics such as blocking assignments up front. Another major positive is the story told by the in-game commentators during Cruise's segments, which are sheer entertainment and miles better than the normal Madden commentators. While there is at least one extremely odd story beat within the greater tale (there are a few head-scratching roster shuffles, from players to head coaches—you'll know it when you see it), it's a heartfelt one worth a playthrough for the superb job by the actors involved and the fun combination of gameplay and story. To top it off, Longshot: Homecoming's story doesn't have to end. It was a nice touch to be able to continue Wade's story in franchise mode or pick up Cruise's angle in Ultimate Team. It wouldn't be Madden without Ultimate Team leading the charge when it comes to features. The card-collecting affair and unique gameplay challenges return this year with refined improvements offering more ways than ever to earn rewards. MUT Squads was a major revelation a year ago, so EA Sports smartly built upon the foundation with MUT Squads Challenges, which is exactly what it sounds like. Teaming up with friends is fun, though weekly Solo Challenge tournaments for the lone card collector should make for a good time as users will see their names on weekly global leaderboards while competing for squads built by the developers, NFL players, celebrities and more. Weekly Ultimate Team content is only one-upped by an increase in customization. Earning rewards and customizing rosters is as fluent as ever, but the implementation of new player upgrades takes it a step further. Unlocking skill points allows a user to modify a card's attributes, which in turn help craft lineups with better chemistry. This is far from the only area receiving deeper customization. Franchise mode receives the same attention in much-needed ways. The oft-requested draft class creator is finally here and is a boon for those missing the collegiate game series. It's a welcome arrival and one promising the often-sought customization to make franchise mode a long-term investment, offering users the ability to download creations from the widespread Madden community. Perhaps even more important? The long-awaited arrival of schemes and specialists. Those schemes let a user best pick the one befitting of the constructed roster. While users flick through the available schemes for a head coach, a helpful percentage is displayed telling users how the current roster would mesh with the scheme. Training players under the player archetype system or adding free agents and rookies can help a user build toward the scheme they desire—with obvious on-field impacts then occurring. Sounds simplistic—and is. But it is another way to give more control to the user while taking these decisions out of the A.I. 's hands. Upgrades from a year ago are here as well and worth a brief mention. Picking up games from the current regular season is still a nice touch. The three game styles a user can choose from—simulation, arcade and competitive—are superb accessibility options atop sheer difficulty options and offer an on-the-fly adjustment based on a user's mood or setting. This year's release also marks the return of Madden on PC (via Origin), which fits well with the user-options theme of the release. EA Sports has done a superb job with the return here, as load times are seamless on the right machine and there are a bevy of PC-oriented options expected by users of the platform, ranging from ultrawide support to framerate adjustments and beyond. The actual mouse-and-keyboard controls are sensible but will take a long time to absorb and use effectively. That said, it's impressive how well the mouse emulates a controller's joystick for player movement, with the small cursor on the screen only taking up a small space. As a fun caveat, using the scroll wheel to zoom the camera in and out is great. Most users will likely stick with the controller of their choice anyway, but it's nice to seamlessly switch between the two formats while browsing menus or playing the game. Players can check system requirements here. Like its cover star, Madden NFL 19 manages to one-up itself after a monster offering a year ago. It helps that the developers at EA have a Big Ben-esque guiding hand at the controls. This year's game doesn't just exceed expectations with Longshot: Homecoming, it also furthers the accessibility minded slant of the '18 edition by driving more control into the hands of users, crafting a must-own package for fans of the sport. There is so much in Madden NFL 19 it is almost hard to nail it all down. 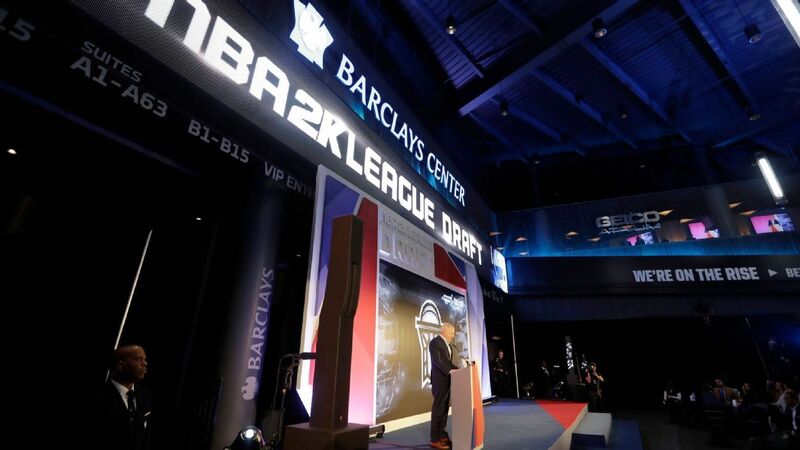 From little things like deep financial owner controls tucked away in the menus of franchise mode to big-ticket items like schemes and specialists, it's a jack-of-all-trades effort and a culmination of the continued upward building on a foundation established successfully years ago. Brown, almost universally liked, master of all things big and small and revolutionizing a position as he goes, was the best pick to grace the cover of Madden NFL 19.